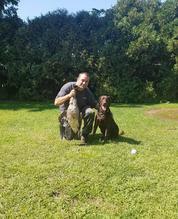 Affiliated with the North American Hunting Retriever Association (NAHRA), Navesink River Hunting Retriever Club was founded in 1984 to promote the training of retrievers in New Jersey. Today the club continues this effort by hosting training sessions and licensed hunt tests as well as club Gun Dog tests throughout the year. With members from New Jersey, Pennsylvania, and New York, most of our events are held in the central NJ area. 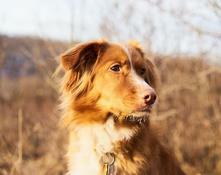 The dogs trained by our club members include Labrador Retrievers, Golden Retrievers, Curly Coated Retrievers, Flat Coat Retrievers, Nova Scotia Duck Tolling Retrievers and Poodles. 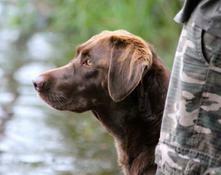 The purpose of the Navesink Hunting and Retrieving Club is to educate handlers, owners, and the general public and to encourage and promote quality in the breeding and field testing of pure-bred hunting retrievers and to do as much as possible to bring their natural abilities to perfection. To do all in its power to protect and advance the interest of pure-bred hunting retrievers through education and by encouraging sportsmanlike participation in field trials. To conduct training sessions and sanctioned and licensed hunting dog tests under the rules of the club, NAHRA, and the AKC. 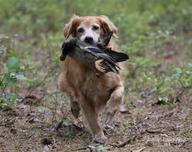 To promote and educate the use and training of hunting retrievers as a conservation tool for the sound management and use of all our wildlife. 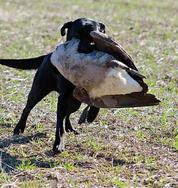 To educate handlers, owners, and the general public and to encourage and promote quality in the breeding and field testing of pure-bred hunting retrievers and to do as much as possible to bring their natural abilities to perfection. To do all in its power to protect and advance the interest of pure-bred hunting retrievers through education and by encouraging sportsmanlike participation in field trials. To conduct training sessions and sanctioned and licensed hunting dog tests under the rules of the club, NAHRA, and the AKC.